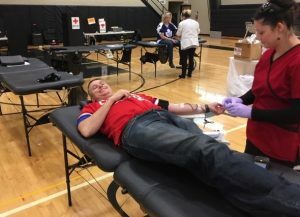 On Thursday, McQuaid Jesuit held its Fall Blood Drive to benefit the Greater Rochester Red Cross. 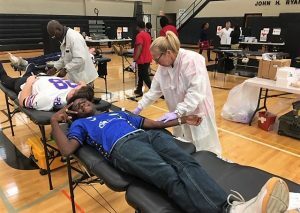 Thanks to the generosity of faculty, staff, and students we donated 50 units of blood. Every one unit of blood can save up to three lives so the McQuaid community will impact the lives of 150 people! Be on the lookout for our Spring Blood Drive date where we hope to surpass our Fall donation number!